Because of main statue of our General Administration, scope at duty of salvage and Salvage Service is giving by "Head Of Salvage And Rescue Services Department". 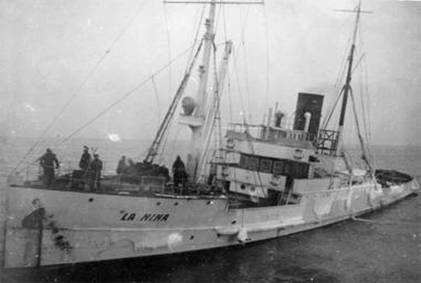 This service was given first in Turkey in 1926 by "KILCHER & Walkers Co" named English Company, This company had salvage ships/tug boats, whose names were "La Nina", "La Voletta", "Cleopatra", "Cesar", "Kıcknar", "Sanbel Parados" and "Belos". From these ships, "Sambel Parados" Denmark-flagged , "Bolas" Greece-flagged and the others were under English flag. After the Cabotage law was promulgated by Turkey , The salvage services in Turkish territorial waters were nationalized and the company’s name was changed as Turkish Salvage Ltd. The tug boats were also changed their flag to Turkish. 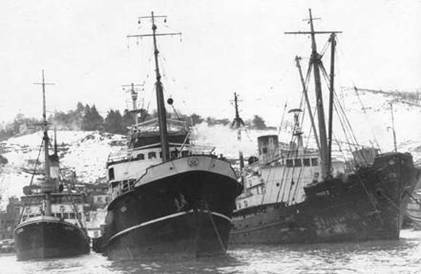 In 1940,these salvage/ tug boats changed their names as "AKBAŞ", "HORA", "KİLYOS" and "SAROS" began to give services under Salvage Administration of Turkish Maritime Organization . 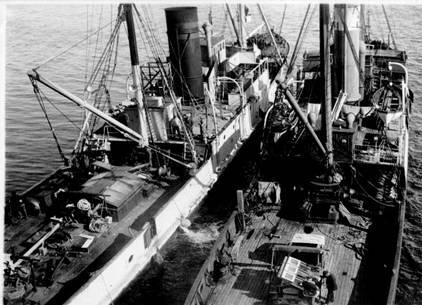 The Salvage Company was affiliated to T.C. Maritime Bank by the concerning law of numbered 5842 on dated 1952, and began to give services.In 1967 "Alemdar II" salvage vessel and "Dalgıç 1" diver - support boat and "Söndüren 1" build 1974 have joined in the management structure. The Coastal Safety and Salvage Administration has been a full member of "ISQ" International Salvage Union since 1985. 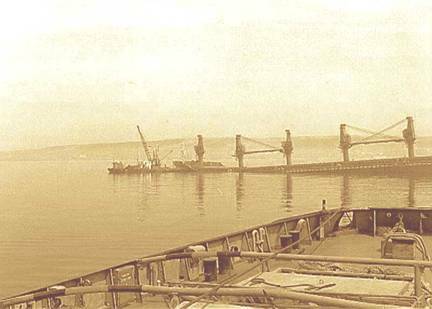 The "Salvage and Towage Company" which was taking place under the structure of Turkish Maritime Lines according to the law numbered 233 on dated 1904 combined with Coastal Safety in 1994 and started giving service as named Coastal Safety and Salvage Administration. "GEMI KURTARAN" ocean going salvage vessel joined to company fleet in 1995. Tug boats, Kurtarma 1 and Kurtarma 2 have joined our Administration's fleet and as environmental equipments, 2000 m Barrier, 4 Sea Slug and 2 Skimmer have bought against the pollution in year 2000. When we look at the history of the rescue stations within the Turkish Straits, it is clearly seen that the Lifw Saving Administraiton has been established in Turkey in 1869. Theese duties have been carried out by commission which were consisted of some foreign countries between the years of 1883-1915 and 1920-1923. Life saving services were performed at the different years aforesaid by Ottoman Empire and Republic of Turkey. In the past years, there were 16 shore based rescue stations located at the northern approach of the Istanbul Strait between the lake of Terkos and Sile. These stations have been operated by organizaitons under the different names untill the establishment of GDCSSA. According to the Search and Rescue (SAR) Coordination of Turkey, MRCC/ANKARA UNDERSECRETERIAL OF MARITEME AFFAIRS is responsible for the SAR coordination and MINISTRY OF INTERIOR COMMAND OF COAST GUARD is responsible for the marine rescue operations. Meanwhile GDCSSA has a special agreement made between Coast Guard and our administration for Search and Rescue services within the Turkish Straits. Both bodies, Command of Coast Guard and GDCSSA, have been giving rescue services within the Turkish Straits in good co-operations. There is telephone number with 3 digits-158, for emergency call of marine rescue services along the all Turkish coasts. In the past years, before the establishment of GDCSSA, 896 life saving operations were carried out and 7083 people were rescued between the years of 1911-1998. After the establishment of GDCSSA, 180 life saving operations were carried out and 611 people were rescued between the years of 18.09.1997 and 18.09.2005.